OpenCycleMap is operated by ThunderForest, a paid service. They overlay the message “API KEY REQUIRED” on their maps to encourage users to register with them. 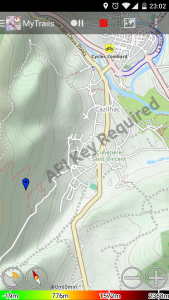 You can create a free account and update the map definition in MyTrails > Maps > tap on the OpenCycleMap entry and edit the map URL, adding ?apikey=123abc at the end of the existing URL, where 123abc should be replaced with your real API Key. 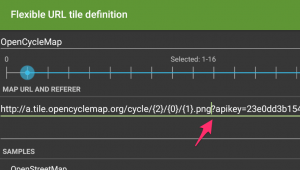 This entry was posted in Troubleshooting and tagged maps on 2 May 2017 by frogsparks.